Far from the ultimate tour guide as it would claim. Too much text to read through, a lack of photographs and it never strays too far away from the obvious film locations in the city. This book was published in 2005 and was produced by Richard Alleman, who previously researched the original edition of Hollywood: The Movie Lover’s Guide. Divided into 13 sections, this book has a vast knowledge of film locations and begins it journey in New Jersey covering theatre landmarks and famous homes such as Frank Sinatra. Midtown Manhattan comes under the microscope next with detailed reports on the use of the department store, Macy’s, Pennsylvania Station on 7th Avenue and the world famous Empire State Building with its connection to King Kong. Several other famous landmarks are also featured in this section including the jewellery store Tiffany’s on 5th Avenue, the New York Public Library with links to Ghostbusters and The Thomas Crown Affair, the 21 Club on 52nd Street featured in the film, Wall Street and the famous Plaza Hotel seen in Home Alone 2, Big Business, The Cotton Club, Crocodile Dundee, Brewster’s Millions and North by Northwest to name just a few. Chapter 3 covers the entertainment sector of New York City with articles about Times Square and the many Broadway theatres and restaurants that have been featured in films. 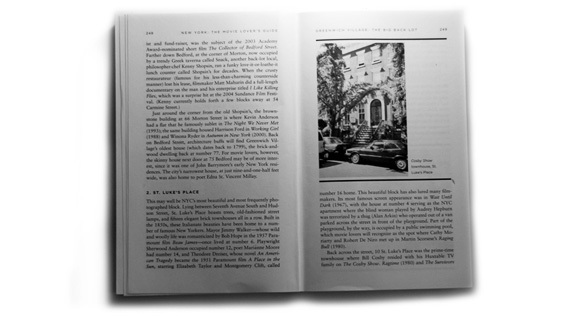 The Upper East Side with its links to the famous actress Marilyn Monroe, who lived at the apartment building on East 57th Street and starred in films such as The Seven Year Itch and How to Marry a Millionaire is featured in this chapter. 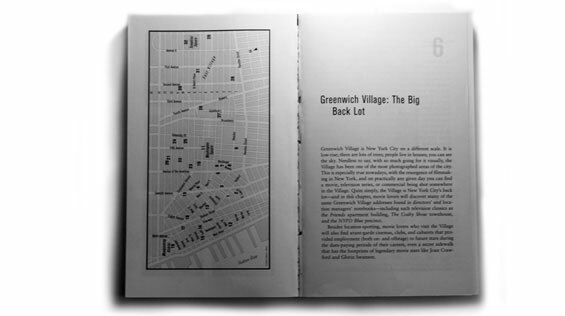 Union Square, Gramercy Park and Chelsea are featured next with Greenwich Village to follow. SoHo, TriBeCa and NoLita are covered in chapter 7 detailed such classics as Desperately Seeking Susan, Addicted to Love, Ghost, When Harry Met Sally and Ghostbusters. The Financial District is reviewed in chapter 8 and gives mention to The Devil’s Advocate, Conspiracy Theory, Wall Street, Godzilla, Working Girl and Men in Black. 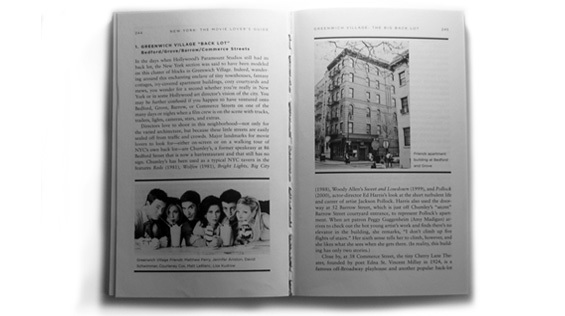 Chapter 9 covers the Upper West Side of Manhattan and gives reference to James Dean’s former apartment on West 68th Street as well as the many films that have used the Lincoln Center. The remaining chapters feature Harlem, Washington Heights, Brooklyn, Queens and the Bronx. 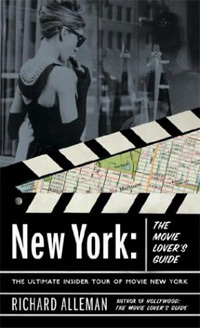 otsoNY Comments: This book is packed full of information about film locations in New York City and at times goes beyond the point of interest for what is supposed to be a simple film location tour guide book. Knowing extra facts about a certain church or building is all well and good but not especially needed for every location mentioned. With far too much text to read through to find the real information and with a lack of film scene photographs to hand, this book falls short of the competition and ends up as one of the lesser useful film location books available.